Ever wanted a TV for a wall, like in all the sci-fi movies? 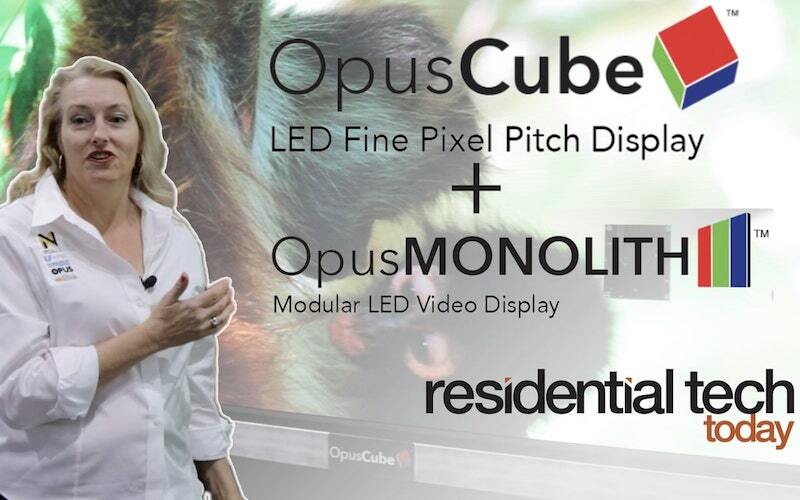 Opus was showing off their Cube and Monolith products at CEDIA 2018, and we had the opportunity to catch up with Jodie Sotiropoulos, Director of Marketing & Communications for NthFinity (the creator of the Opus Brilliance Line). She walked us through the nuts and bolts of the new LED video products they released and discussed what’s possible when you have a wifi-enabled wall at your disposal. Want to watch more Residential Tech Today videos? See this one on the next generation of wireless speakers.